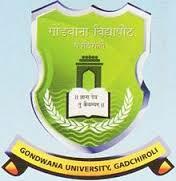 The Gondwana University is one of the popular universities in the state which is located in Gadchiroli, Maharashtra. This university is set up to cater the educational needs of the economically and socio – culturally backward students of the backward districts of Gadchiroli and Chandrapur. The Gondwana University is established with the mission to the youth of rural and semi – urban areas with all important professional and career – oriented skills which are crucial in the contemporary global scenario. Also, the mission of this university is to provide the best quality education at the affordable prices. The Gondwana University is concerned with the higher education alone. The university aims at providing the job – oriented education so that the youth can be employed with the good package and live their life with equal status and satisfaction. Along with the higher education, the university is imparting the moral and ethical values to the students so as to make them a mature and responsible citizen of the country. The Gondwana University is located on the MIDC complex road, Gadchiroli, Maharashtra. The university has a sprawling campus which provides the pleasant environment to the students. The Gondwana University is quite popular for its salient quality features which make this university as the smart choice for the students. The key features of the university are mentioned here. • The university is engaged in imparting the value – based education with the appropriate vision and well – tailored methodology. • The Gondwana University has the best faculty members who are dedicated towards their work and ready to share their talent and knowledge with the students so as to provide them the best quality education. • The university is making the substantial contribution of the overall growth of the region and nation by imparting the quality education to the students from different sections of the society. • The Gondwana University focuses the overall growth of the students so that they can cater the growing needs of the global world. The Gondwana University is engaged in providing a wide range of job – oriented courses to the eligible and deserving candidates. Description of all these courses is provided here. Admission or enrollment to the several courses will be made through the admission procedure which is prescribed by the Gondwana University. The university follows the different admission procedure in order to provide the enrollment in the various offered courses. The university organizes an entrance test namely PET i.e. Ph.D. entrance test so as to offer admission to the Ph.D. courses. The students should take this entrance exam and needs to qualify the same in order to get enrollment in these courses. Are you Interested in Gondwana University.